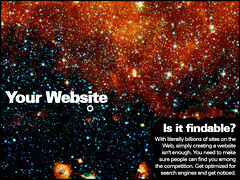 Image by FindYourSearch via FlickrSearch Is Changing. As A Website Owner, Has Your Attitude, Approach And Expectations From An SEO Campaign Adapted To The Change? Do You Look Beyond The Ranking Report? Search Marketing has evolved and has more to offer in terms of quality and quantity in the local and global arena. Every search marketer keeps on harping on the fact that search is beyond rankings and is more about quality web presence and having a good inbound web marketing strategy. You may not be an expert at statistics and analytics and may not like to delve into the metrics and analytics. You may not have time for SEO reports but I am sure you want to judge and get an idea about whether the SEO campaign is on the progressive path in your own way . Especially when you are paying a huge sum for it. The answers to the following 20 Questions will help you to ascertain your quality footprints on the web which can ensure Quality Inbound Traffic and Long Term Web Presence and also give you an idea about the progress of the SEO campaign. 1. Does your business have a local presence. (Listings in Google Places And Google Maps)? 2. Does your company have a blog? 3. Do people read and comment on the blog posts? 4. Do the images from your website and blog get listed on the image search? 5. Have you uploaded videos about your products, company , etc. on YouTube or on your own server? 6. If you have videos on your server then has a video sitemap been submitted to Google? 7. Do the videos rank in SERPs and Video Option Search Results for the targeted keywords? 8. Which are the major 15-20 search queries (Head &Long Tail) for which the site ranks on Page 1? 9. Are these search queries directly related to your company, product or service? 10. Do people fill the form on your website to contact you? 11. Are these inbound mails from the site increasing? 12. On which country domains is your website ranking?Is this in sync with your geographic target? 13. Are the rankings stable for more than a quarter? 14. Does your website rank for branded and non-branded terms? 16. Do the page titles give an idea about what the page is about to the user? 17. Can the user share the content of the page easily to his social media site? 18. Do the images have Alt text which tell more about the image to the user? 19. Does the website have a sitemap for the user? 20. Is the content useful for the user and not stuffed with keywords by the SEO? The answers to all these above questions give you a quick idea about the progress of your SEO Campaign and overall web presence of your website.